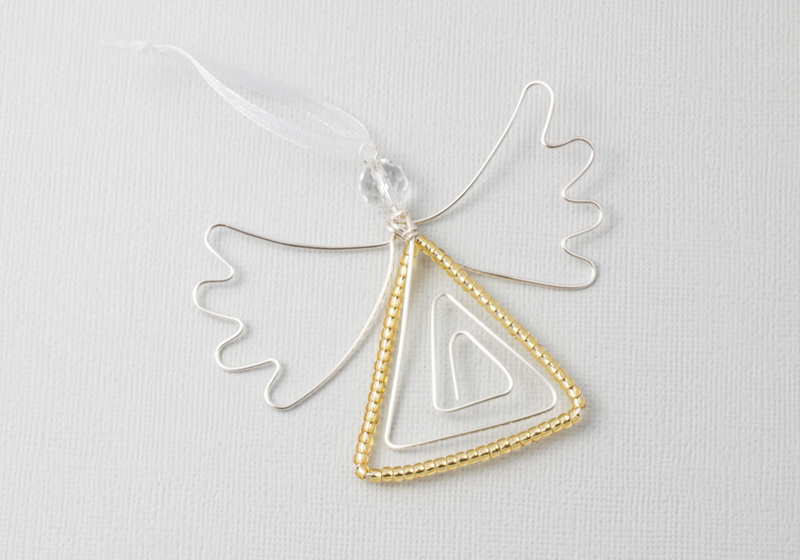 A silver plated angel Christmas tree decoration with pretty gold glass beads and an organza ribbon loop. 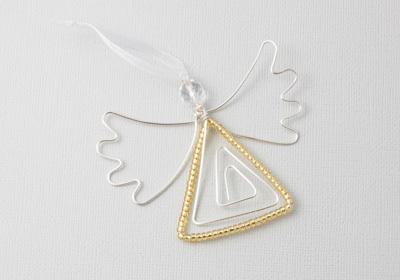 The angels vary slightly as each one is individually hand-made. The angel is approximately 60mm x 40mm with a loop of approximately 50mm.